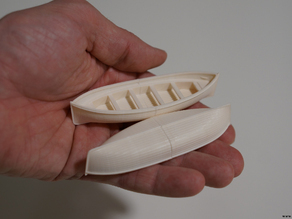 resized to 1:87 scale and printed with black ABS, I will be spraying them white when I build the rest of the Titanic. Nice. I have not tried to print them the right side up, looks like it works :) Thanks for downloading and printing!